Jacinta is a General Paediatrician with a special interest in Adolescent Medicine. Having completed her degree in General Paediatrics, Jacinta then trained in Child and Adolescent Psychiatry. Jacinta has worked as Head of Adolescent Medicine at Monash Children’s Hospital, and in the area of Adolescent Health for 20 years. She combines her general paediatric training with her interest in good mental health outcomes, to manage a broad range of medical issues, particularly those conditions which cross the divide between paediatrics and psychiatry. Jacinta has successfully managed many cases of young people with a range of eating disorders, psychosomatic illness, anxiety and depression. She also has extensive general paediatric experience in a wide range of medical problems including, asthma, eczema, unsettled infants, growth issues, developmental delay, toileting problems, learning difficulties and challenging behaviours. Jacinta will help you and your family coordinate care for your child or young adult when a multi-disciplinary team is involved. Acute or chronic Illness during childhood and adolescence can be traumatic and challenging for all, but it can also provide opportunities for growth and resilience. 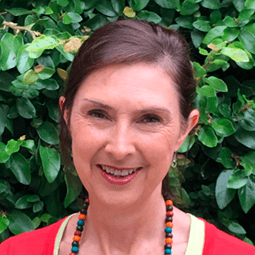 Jacinta’s passion is to support families to navigate the joys and challenges that each developmental phase brings, from infancy to adulthood.